Merry-go-rounds — Empower Playgrounds, Inc.
Merry-go-rounds generate electricity that charge lanterns so students can study at home. 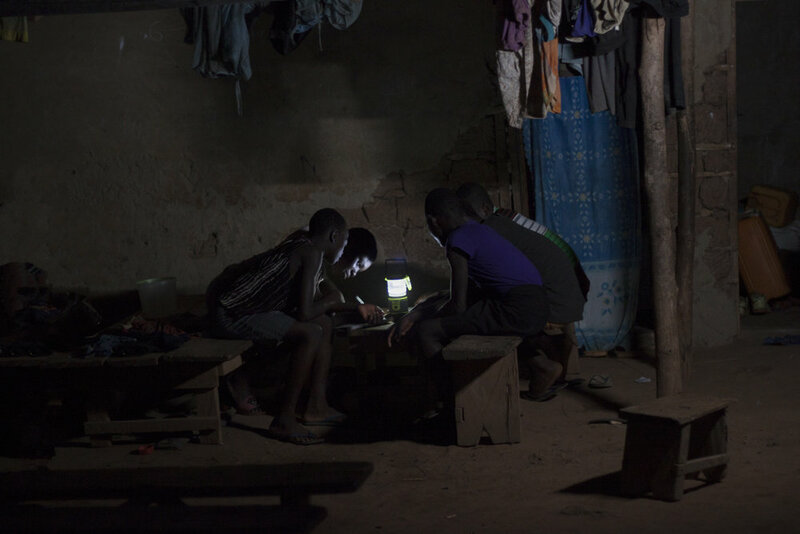 Without electricity, children in Ghana cannot study at home during their only time to do homework— at night. This problem is solved when children play on EPI merry-go-round equipment which uses the children's energy to charge a battery. The battery connected to the merry-go-round charges lanterns. The lanterns are taken home by the students and used to help them study in the evening. Students spend daylight hours at school and then assist with chores and the family's economic activities at home, so nighttime becomes their only time to study. These lanterns provide opportunity to do so. The children are split into lantern groups and one student is assigned as a lantern leader. That lantern leader is responsible for bringing the lantern back to school to charge after it has been used. Solar panels are also connected to the battery. They prevent battery discharge during school breaks. They also serve an educational purpose by providing a hands-on learning experience for the students in engineering and technology. Without EPI equipment, most teachers do not assign homework because they know students will not have time to complete it during daylight hours. With EPI lanterns, students have the opportunity to study at night. Studying gives students a chance to advance to high school in Ghana. With over 12,000 primary schools, and under 500 secondary schools, competition for Ghanaian children to move beyond elementary school is steep. Students must take a competitive entrance exam to be admitted into one of these secondary schools, which would allow them to further enhance their education and help their families. Rural students are at a disadvantage preparing for the secondary entrance exam when they live in areas without access to electricity; electricity allows them to study in the evenings after chores and work are done. 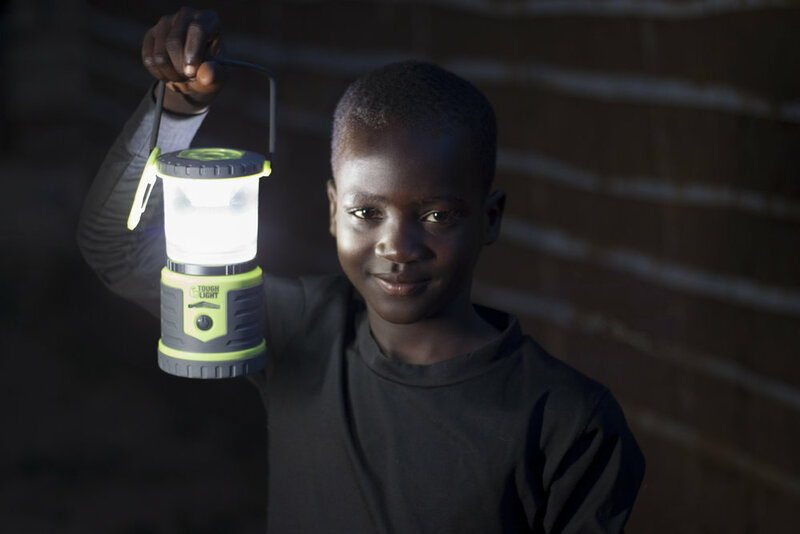 It also creates a safer home environment for children over the other traditional option of kerosene lamps, which have been shown to be dangerous in close quarters for children's health. 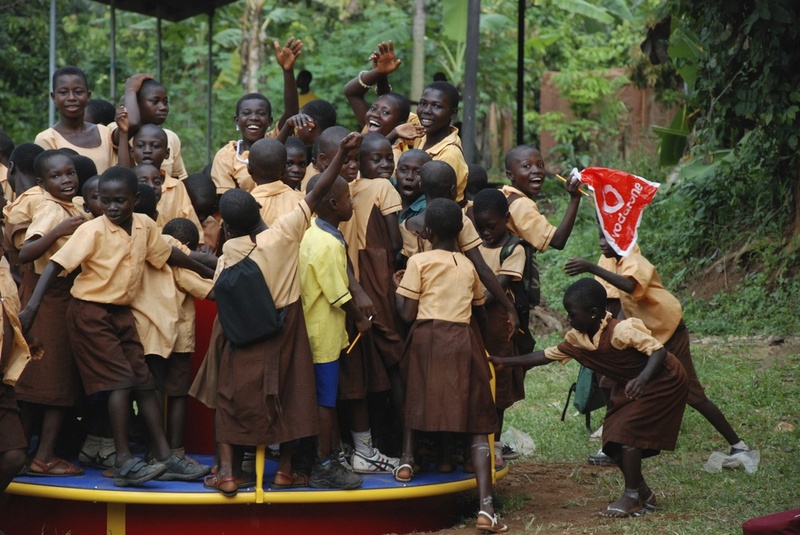 The EPI Merry-Go-Rounds use the renewable source of children's play at school to generate safe, transportable electricity that empowers the children with more opportunity to prepare for these exams and enhance their education.